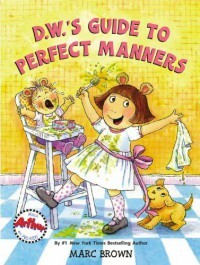 This book is about D.W. who takes a day to show her cleanliness and manners. D.W. cleans up after herself, throw trash away, put things up, and show good manners. This will be a good read to lower level grades. Many students have a hard time showing their manners and their cleanliness. I would allow my students to practice good manners in the classroom , during lunch, and at all times. I would refer to D.W.'s manners in the classroom.